Magazine advertisement to run in national Magazine featuring the Award from the American Cuemakers Association. Tonkin's "Concertina" was recipient of the American Cuemakers Association's "Cue of the Year" for 2010. 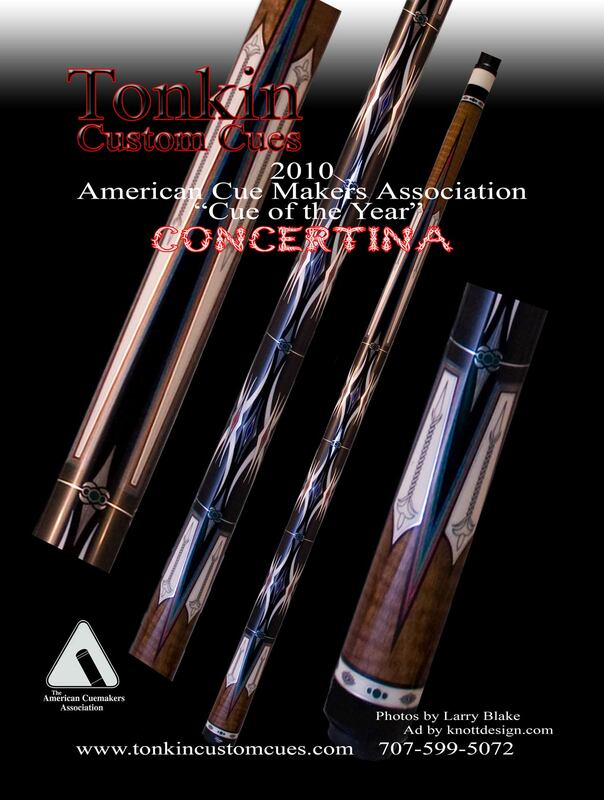 The American Cuemaker's Association was established to recognize a standard of excellence in the art of cuemaking, to educate the public about cues and to promote the collecting of cues as unique collectable art form. You can find more information about the American Cuemakers Association by following this link.